Habitat Various grassland, farm area, roadside, riverside, vacancy, etc. Date The first record was in 1909 at Hokkaido. This species is postulated to be introduced in late 19C. Impact Potentially: Competition with native species, crops, etc. Affected organism: Native plants, feed crops, fruit trees, etc. Introduced range in other countries Asia, N Africa, Oceania, N and S America. A native beetle Gastrophysa atrocyanea specifically feed on this plants. 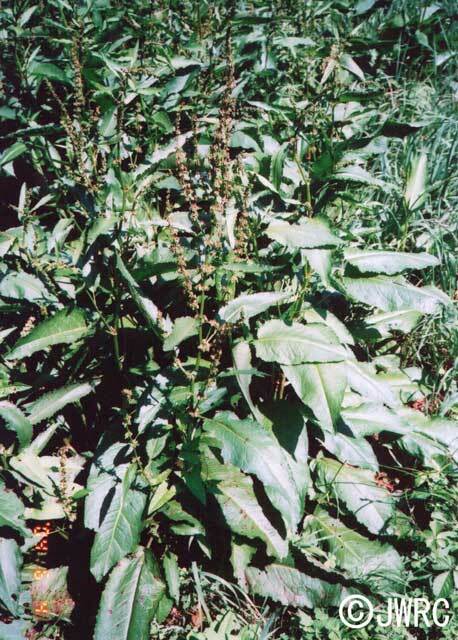 Plants of the genus Rumex frequently hybridize each other and have hybrid vigor.